Are you or is someone in your company a member of Association for Professionals in Infection Control & Epidemiology? The Company shall be responsible for the accuracy, timeliness, completeness and removal of any employment requirements that are placed on the Association for Professionals in Infection Control & Epidemiology system. The Company shall present on Association for Professionals in Infection Control & Epidemiology only genuine existing employment requirements with the Company. The Company may not transfer or assign for any reason any products or services or rights to any products or services (including access to or contents of the Resume Database) provided by Association for Professionals in Infection Control & Epidemiology to any third party without the expressed written authorization of Association for Professionals in Infection Control & Epidemiology. Association for Professionals in Infection Control & Epidemiology reserves the right to receive job advertisements via the Internet from any approved Job Advertising Distribution services provider that it deems as acceptable; conversely it retains the right to disallow and deny job advertisements from entities that are not suitable for Association for Professionals in Infection Control & Epidemiology's purposes. 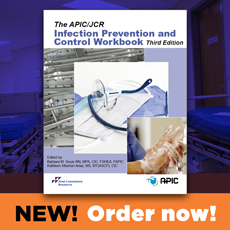 Association for Professionals in Infection Control & Epidemiology retains sole discretion to determine whether the site's use is acceptable for Association for Professionals in Infection Control & Epidemiology's purposes and standards. Association for Professionals in Infection Control & Epidemiology assumes no responsibility or liability for any personnel selected by the Company and the Company represents that any selection, retention or hire of any individual or entity is based solely on the Company's investigation, verification and determination that such hire is suitable for the Company's purposes. The Company agrees to hold harmless Association for Professionals in Infection Control & Epidemiology from any claims, damages or losses incurred by the Company or any other party as a result of use of the Association for Professionals in Infection Control & Epidemiology system. Association for Professionals in Infection Control & Epidemiology reserves the right to remove or deny any job posting(s) or advertisement for any reason, including if an arrangement for the billing process has not been met within a 24-hour period of posting. Association for Professionals in Infection Control & Epidemiology reserves the right to edit all employment advertisements, but will review any such edited advertisements with the Company prior to publication. No advertisement submitted by the Company shall reflect, imply or contribute to any discriminatory actions, practices or improper bias. Association for Professionals in Infection Control & Epidemiology reserves the right to edit any advertisement to remove any such offending language or implication. The Company shall take sole responsibility to assure that the content of its advertising is true and accurate and conforms to all applicable laws, standards and regulations and the Company represents and warrants to Association for Professionals in Infection Control & Epidemiology that it has all necessary authorization for the placement of the entire content of its advertising within the site. 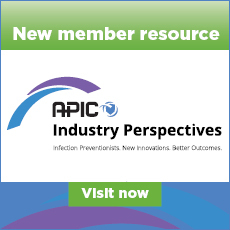 Association for Professionals in Infection Control & Epidemiology may however decline any advertising or discontinue further publication of any advertising, at any time and for any reason, and shall not be liable in any manner as a result of such action, except to refund a prorated portion of any unused prepaid subscription. Association for Professionals in Infection Control & Epidemiology's liability for any claims of any nature whatsoever arising under this agreement or otherwise, shall be limited to the money paid to Association for Professionals in Infection Control & Epidemiology by company for the specific service giving rise to such liability. This limitation of liability is cumulative and not per incident. In no event shall Association for Professionals in Infection Control & Epidemiology be liable for any incidental, special, or consequential damages, lost profits, or lost or damaged data, or any indirect damages, whether arising in contract, tort (including negligence), or otherwise, even if Association for Professionals in Infection Control & Epidemiology has been informed of the possibility thereof. Association for Professionals in Infection Control & Epidemiology shall, under no circumstances, be liable for any direct, indirect, incidental, special, punitive or consequential damages that may result from the use of this site, including, without limitation, use or reliance upon any information contained on this site, interruptions, errors, defects, omissions non-delivery of information, disclosure of communications or any other failure of performance of any kind. You agree to release Association for Professionals in Infection Control & Epidemiology, its members, directors, and employees from all claims, causes of action, lawsuits, liability, damages or other responsibility, known and unknown, anticipated or unanticipated, from the beginning of time until the present, arising out of your use of any Association for Professionals in Infection Control & Epidemiology website or the content contained therein. You agree to indemnify Association for Professionals in Infection Control & Epidemiology, its members, directors, and employees and hold them harmless from any cost, claim, liability or expenses (including reasonable attorneys' fees and related costs) arising out of or relating in any manner to your (i) violation of this agreement or (ii) use of the Association for Professionals in Infection Control & Epidemiology web site.